i rock paper and scissors: Happy National Scrapbook Day! Happy National Scrapbook day friends! Yes, there really is a day set aside just for us scrapbookers. I'm scrapping and playing along today with friends and favorite websites that are having challenges, chats, and lots of fun! Here's a layout to share for NSD, made for my girlie's school album. I kept the lap card from her school Jog-a-Thon and used that as an embellishment for my page. A quick and easy layout, but a great way to remember the day! Thanks so much for stopping by today, enjoy, and be creative! Another layout into my favorites! Okay, Gracie has great style...we have that shirt too, just in long sleeves!! HA!! 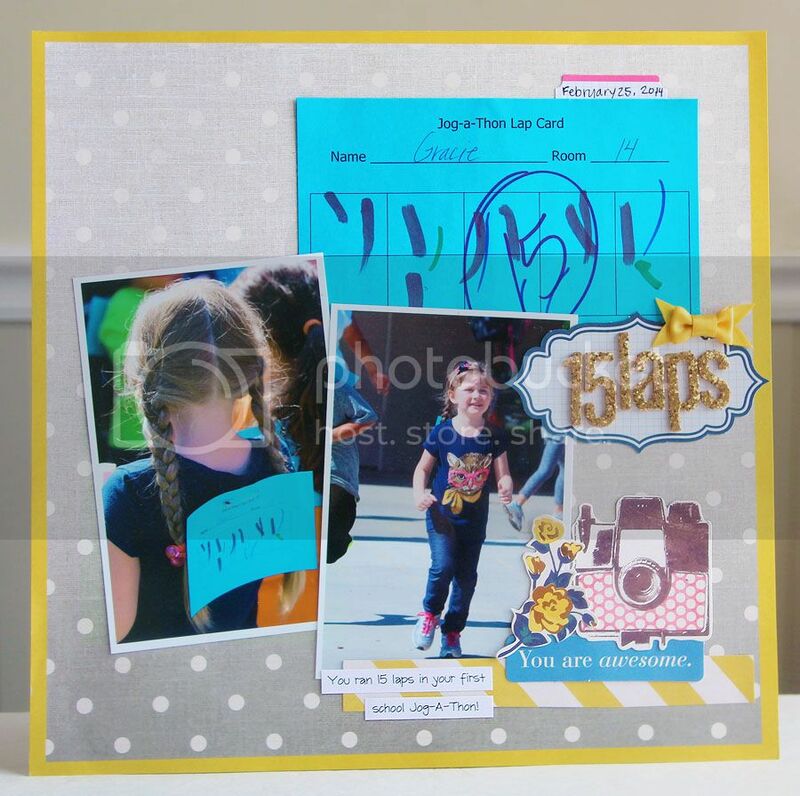 Love her cute running photo and how you used the card on your layout, Mary Ann! !